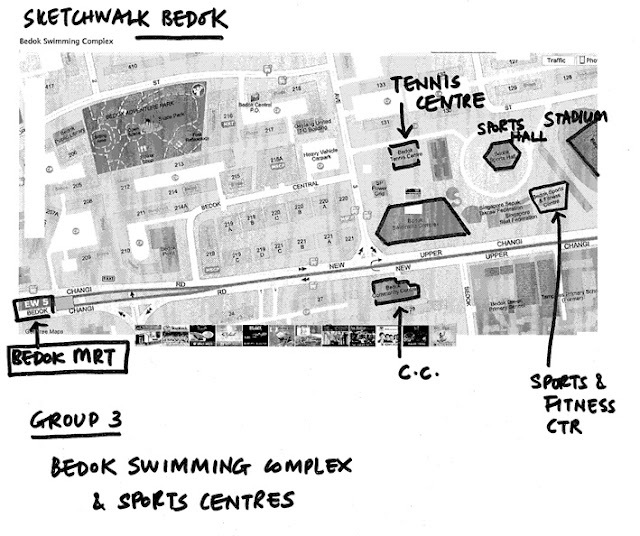 This upcoming sketchwalk will be in favour of the people living in the east because we will be sketching around Bedok! It's a pretty busy and big neighbourhood. We will meet at the Bedok Food Centre just beside Bedok Mrt Station at 930am. You can have your breakfast there before the event (or eat and draw when the sketching starts like some of you like to do) From the food centre, we will hand out highlighted locations for you to draw and explore so you can head for all the places that are famous in Bedok. 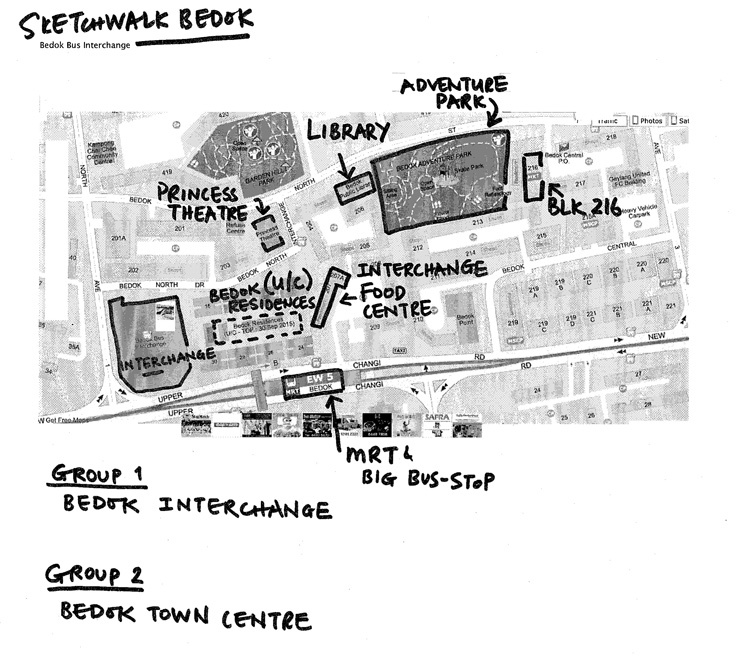 You will be able to submit the sketches done in this sketchwalk to Epigram to be included in the upcoming "I Love Bedok" book. Yes, it's in the same series as the "I love Toa Payoh" book. 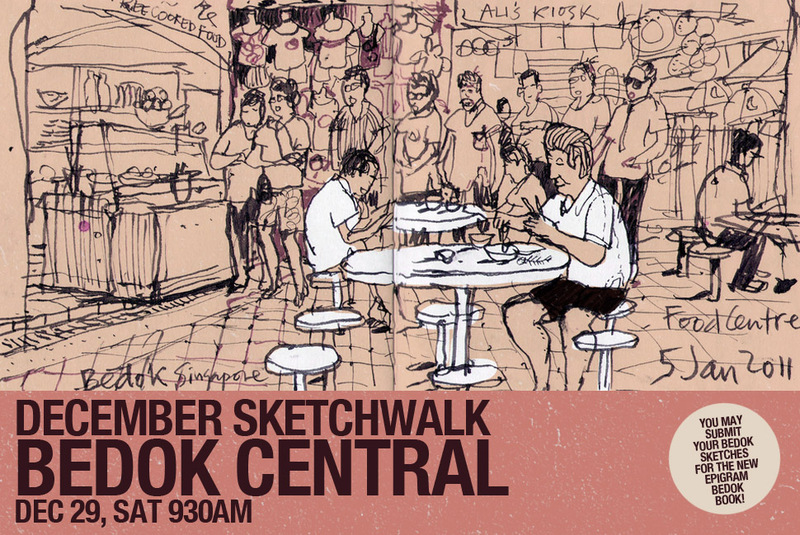 Only the best sketches will be chosen for the book so do as many as you can and submit them! You will get 1 complimentary copy if 1 drawing gets into the book. And 2 copies if 3 or more drawings gets featured. We will have just 3 groups this time + 1 special ah-hoc afternoon group (see below). We will meet back at the hawker centre again (this may change if we find a quieter location) at 12:30pm for a show and tell session before lunch. Very busy area. There is a regular blind busker here who starts playing from evening. Said to have good voice. 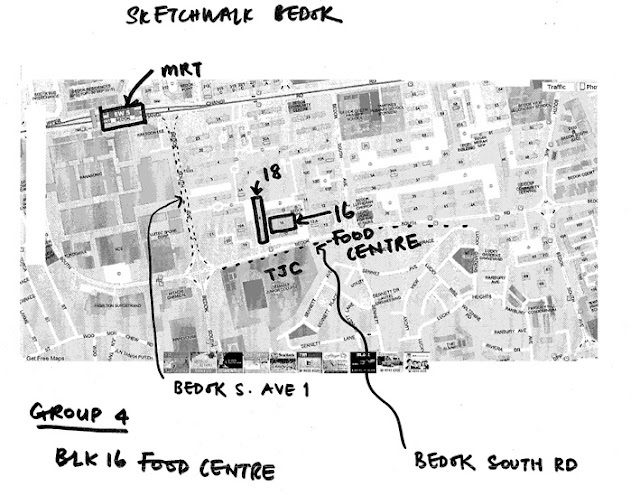 Famous Bedok porridge near interchange - ?? site worth recording, cranes and all! catch top-view down (if possible?). here is all red tiled.